January, the longest month, is finally done! My February plans mostly involve putting my head down and working on a new novel (Part 1 is already done!) 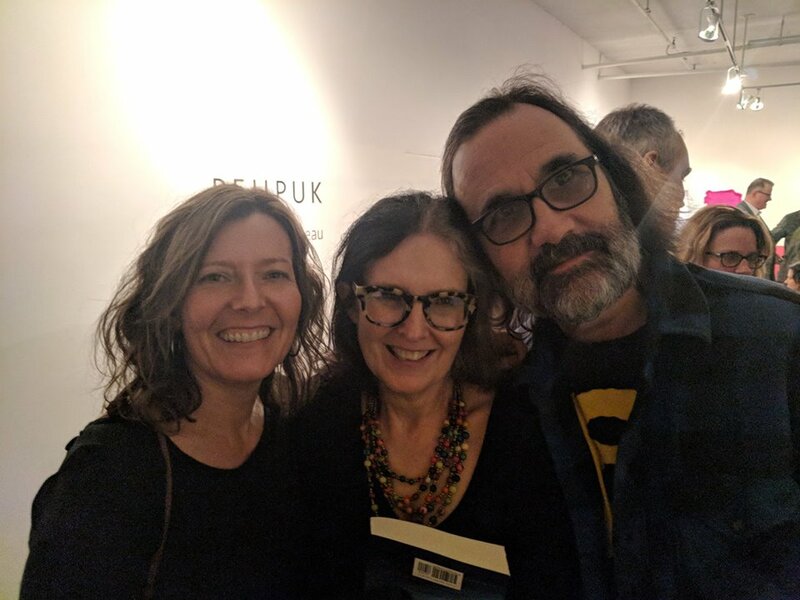 and connecting with my scriptwriting students here at Memorial University in St. John’s. 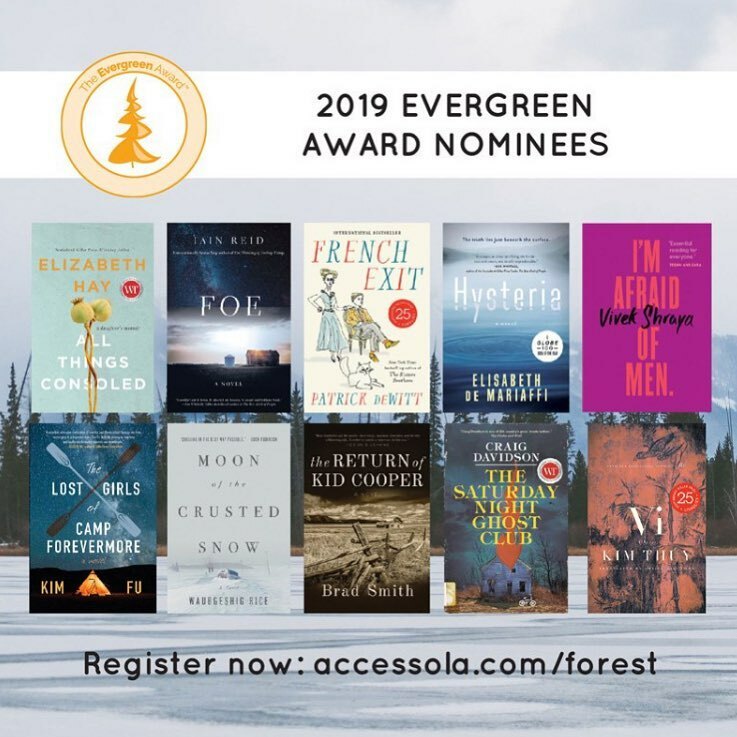 I’m looking forward to the release of HYSTERIA in paperback later this month — at the end of last year, I was thrilled to see it land on the Globe and Mail Best Books list, and just this week I was equally thrilled to see the Ontario Library Association Evergreen nomination list includes HYSTERIA, too! Hope you’re staying warm (and curling up with a good book), wherever you are this month. 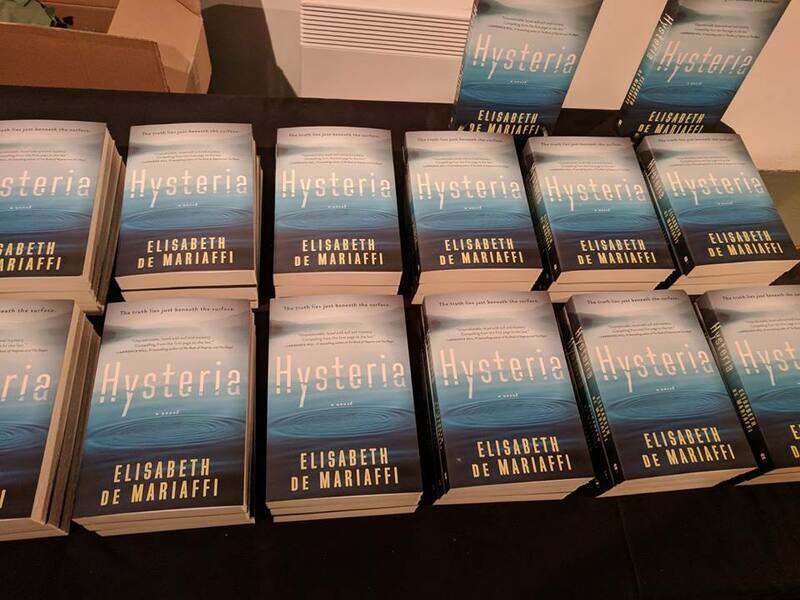 I’m delighted that I REMEMBER YOU — the UK version of Hysteria, published by Titan Books UK — hits store shelves today! 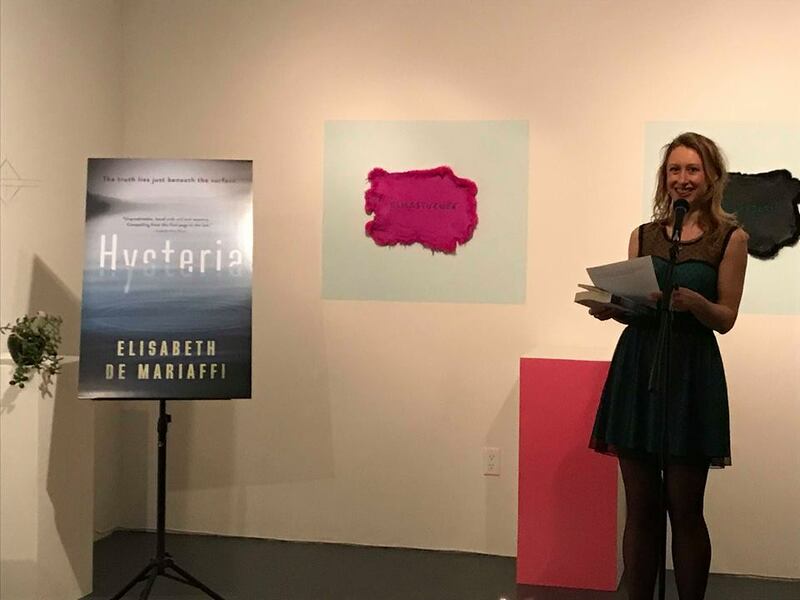 Hysteria has had a fantastic reception here in Canada, and the good vibes are already rolling in from across the pond– witness this great review over at Liz Loves Books. Heike Lerner has a charmed life. ​​​A stay-at-home mother married to a prominent psychiatrist, it’s a far cry from the​ damaged​ ​child she used to be. But her world is ​shaken when her four-year-old son​ ​befriends a little girl at a nearby lake, who​ vanishes under the water. ​And when Heike dives in after her, there’s no sign of a body. I Remember You goes on blog tour for the next couple of weeks, so you can expect to see more reviews, some sneak-peek extracts, and even a few guest posts written by yours truly. All the dates, places, and details are listed below. You can order I Remember You from Amazon UK , or find it in bookstores everywhere… as of today! As for me, I’ll just be over here — celebrating with a cupcake or two. Happy book birthday! in the Globe & Mail, Claire Cameron investigates some of the reasons behind the different cover — and title! — in the Canadian and UK editions of the book. Out across the pond on March 27th, Hysteria goes by the name I Remember You in the United Kingdom. 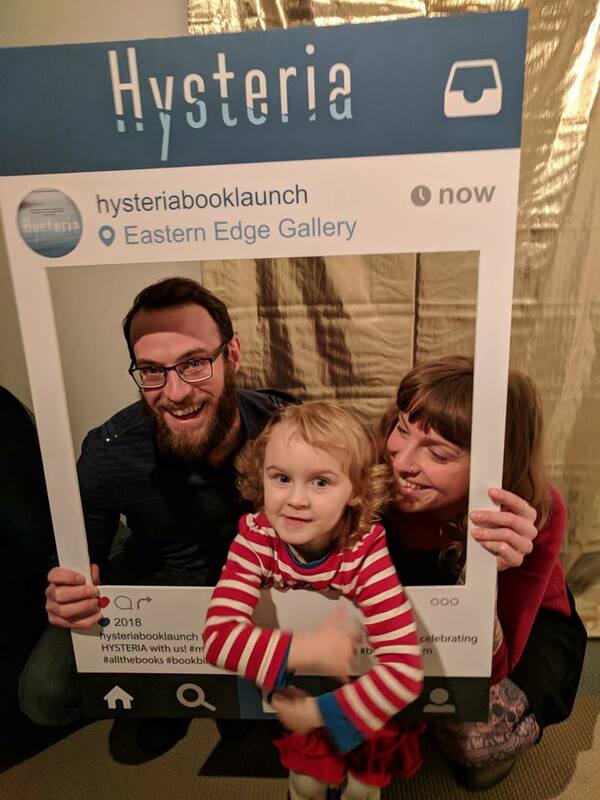 in the Toronto Star, hold onto your hats, Hysteria gets a humdinger of a stellar review! How happy am I? Mascara-reapplication-level happy, that’s how happy. Hope everyone out there is having as good a weekend as I am. 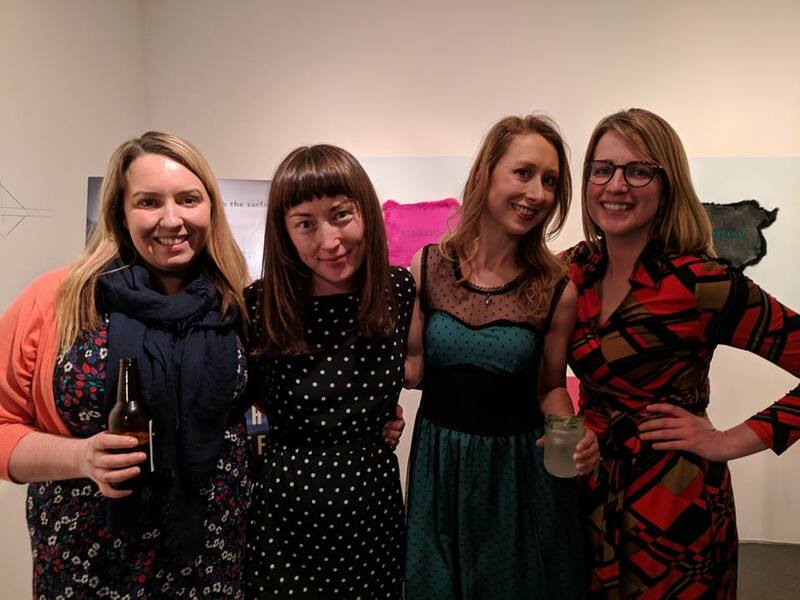 Here are some of my favourites from our launch party, at Eastern Edge Gallery here in St. John’s. Local indie Broken Books was on the scene, pop-up style, to help peddle these wares. Lucky to be reading in a space as lovely as Eastern Edge. City Counsellor Hope Jamieson and family were there to have a good time. I’m dying now. RIP Me. This interview on CBC’s amazing flagship book show, The Next Chapter, is actually the first long interview I did on The Devil You Know. We taped it back in December — on my birthday! — and it was old school radio, where I went into the studio and put on the headphones and everything. 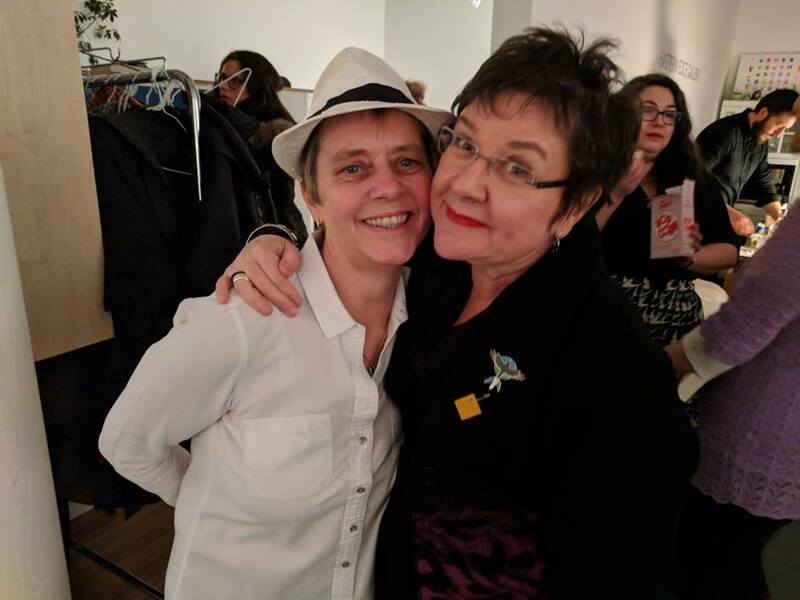 Shelagh Rogers is the most fun lady in CanLit, and she’s always a pleasure to talk to. Listen to the whole interview here. Last post for a Friday evening — what a whirlwind this day has been. 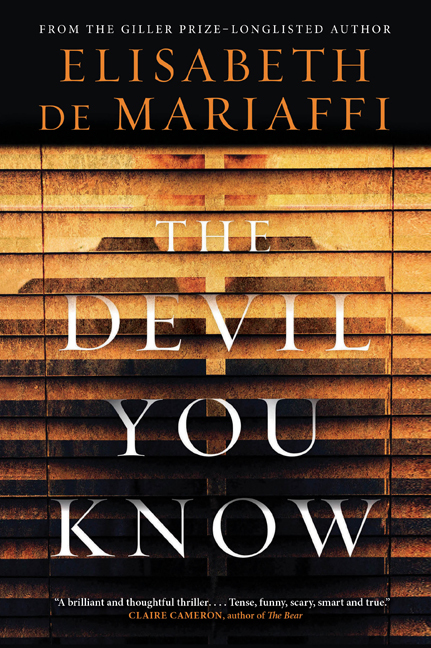 Two great reviews and a short interview for you — Stacey May Fowles starts off her new column in the Globe and Mail with this fantastic review of The Devil You Know. 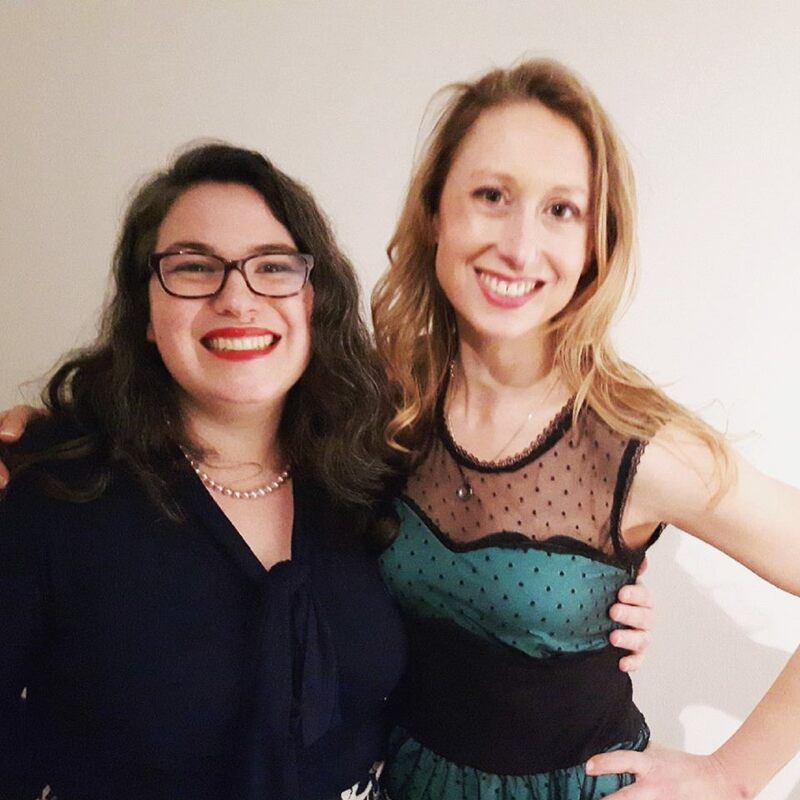 ICYMI earlier, here’s Sarah Weinman’s awesome National Post review. 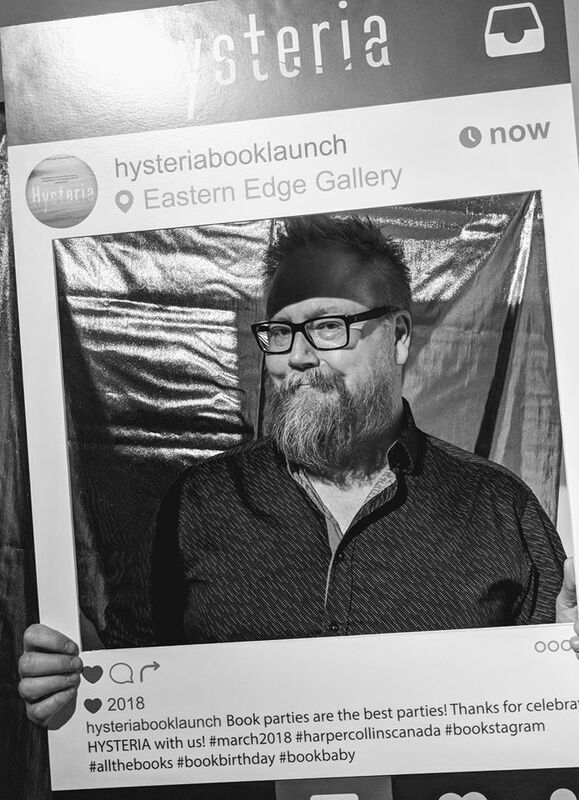 And a quickie interview I did with Mike Heffernan for Atlantic Books Today. Tomorrow, let’s all sleep in, okay?